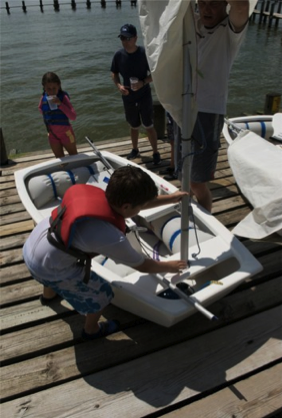 The Seabrook Sailing Club Youth Program is structured around “learn and sail” sessions in which kids get hands-on sailing experience under the supervision of Youth Committee instructors and parent helpers during our Spring, Summer, and Fall clinics on Saturdays and Sundays. 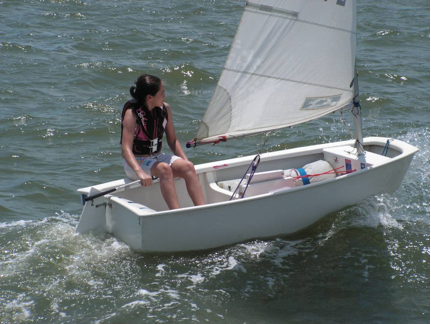 The program fosters self-confidence, independence, and responsibility, with the main goal of the program being to teach the young sailors to be completely comfortable and independent in a sailboat. For the kids that have the basics of sailing down, reach races will be held on specific Sunday afternoons where the kids race just off the club pier with parents cheering them on. On June 14th, 28th, July 12th, 26th, and coinciding with the Kemah fireworks (which is every Friday night during June and July beginning at 9:30pm), one or more members of the Youth Committee will be present from 6:00pm to 8:00pm to help parents and their children with the club sailboats. 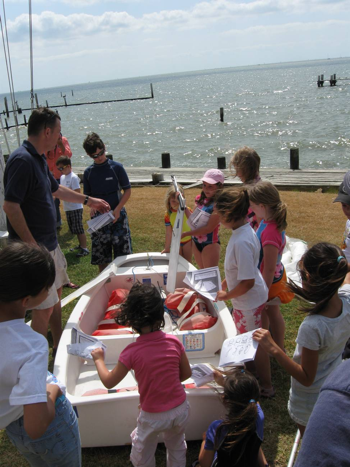 This is a new initiative and an exploratory program to gauge member and children interest in reinforcing their sailing education and skills during the summertime. These Friday evening events are not open to non-members.